Back in February, we highlighted a custom wedding gift made by the artists at Sticks. The box had colorful imagery that depicted the marrying couple’s Laguna Beach wedding. If that couple is lucky, in 60 years they’ll have a family member present them with a one-of-a-kind anniversary gift, just like Dorea and her sister did for their parents! Hi! I am the Daughter of Frosty and Joan…They have had you custom design a table and chairs for them, a golf trophy, and 3 gifts for my sister and I. Their 60th anniversary is coming up this summer so my sisters and I would like to surprise them with another custom Sticks gift. We have an idea, would a designer please contact me so we can start the process? Thank you! Dorea’s ideas were for a serving tray decorated with imagery from her parents’ past. 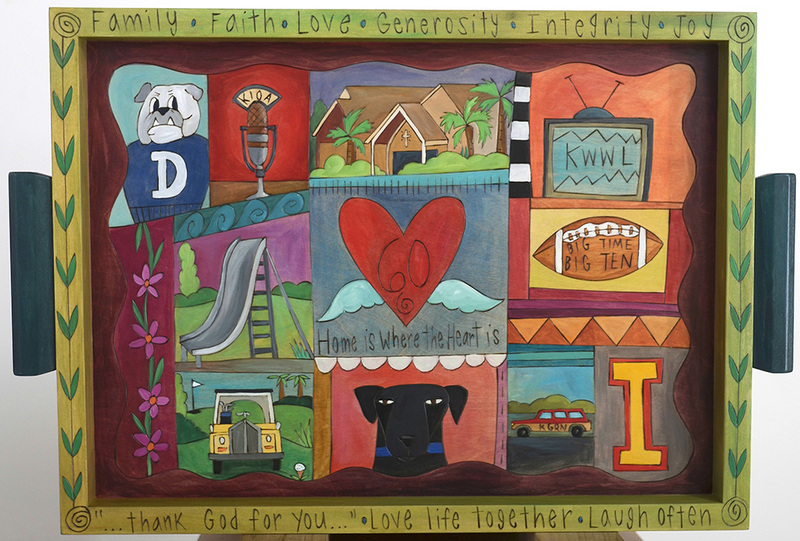 Included was the mascot from their Alma Mater where they met, a chapel representing their devotion to faith, and a heart with the number 60 inside sitting above the words "Home is Where the Heart is". Once again, Sticks delivered with a beautiful piece of hand crafted and functional art, in the style that has come to define the artists. Now the family will have a commemoration of 60 years of matrimony for generations thanks to the thoughtful gift of two loving daughters, and the talented artists at Sticks. What images would you have depicted on a custom tray? Let us know in the comments below or on Facebook, Twitter, Instagram, or Pinterest! If you really want to see those ideas come to life, contact our custom design center today to get started! 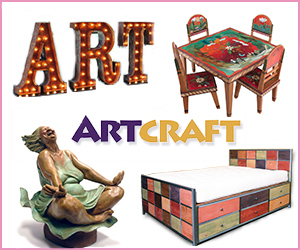 Artcraft’s Huge Spring Sale is Here!